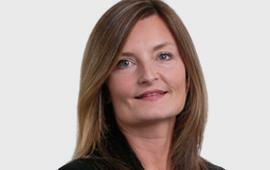 I joined Oliver & Co Solicitors in 2003 and I am a Director and Head of the Personal Injury team. I am a qualified Solicitor with more than 24 years of experience in dealing with personal injury claims. I handle all types of accident claims including accidents at work, tripping and slipping accidents and claims arising from defective products. I handle claims ranging from modest value claims involving relatively minor injuries through to claims involving very serious injuries resulting in high awards of compensation. 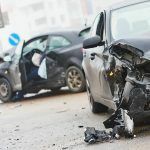 I appreciate that any accident where you are not at fault can have a considerable effect on you and your family, due to your injuries and the financial losses that you may suffer. My aim is to make the process of claiming compensation as simple and stress-free for you as possible and to ensure that you recover all the compensation to which you are entitled. I would like to pass on my grateful thanks to all concerned in my case. She handled my case very professionally. Thank you for all your hard work and support. It really is pleasing to be believed and that overshadows any financial settlement. Your efficiency is to be applauded. Your service has been excellent and, in my opinion, could not be faulted. Can’t thank you enough for all your help, especially on those very testing occasions! Maria Pilkington was caring and professional at all times, I could not have wished for a better service and advice.